Huddle spaces are coming of age with more businesses embracing the idea of incorporating huddle rooms or spaces in their workplace and making better use of meeting spaces. With more businesses adopting agile working practices and open plan offices, finding a space for a meeting is often very difficult, meeting rooms and spaces are at a premium price and we don’t always get the maximum usage to justify this cost. Not only are open plan spaces becoming more prevalent, more millennials are joining the workforce and have a completely different experience of working brought on by active learning spaces at universities. Universities have really embraced collaborative learning and working spaces, therefore millennials expect to find similar environments at their place of work. Workplaces are generally seeing a reduction in large meeting rooms and an increase in medium to small meeting rooms that are multi-purpose so that they can be utilised when meetings aren’t taking place. Businesses are also encouraging shorter meetings so that time at work can be spent more effectively. 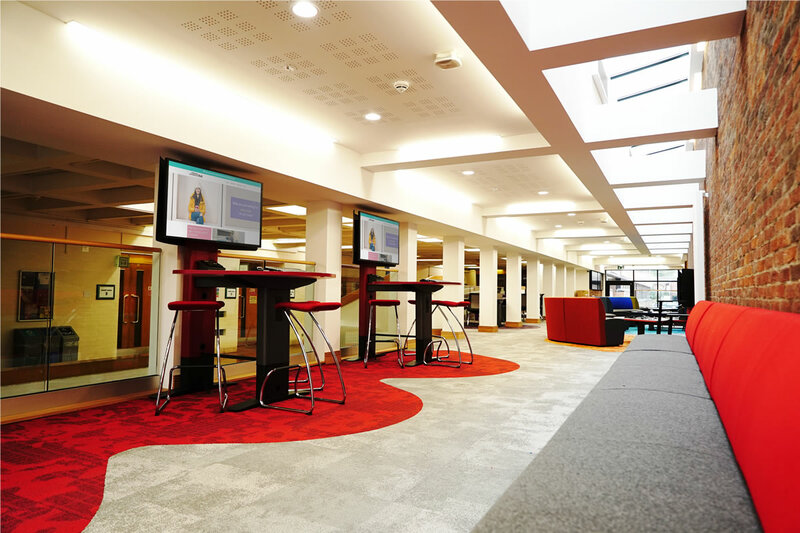 We know meeting spaces are at a premium price so is there a cost-effective way of making use out of your existing space, instead of creating new ones that highly benefits all aspects of a business, in particular facilities and estates? The answer is yes, some of the best ways to maximise your existing spaces are to invest in ‘active furniture’ and create ‘huddle spaces’. Huddle spaces are generally ‘drop-in’ and are not bookable. They are primarily for short meetings and therefore frequently become available. The only monitoring necessary is for technology service levels to monitor that the screen, switch and connections are working properly. The best type of huddle spaces are kitted out with technology which allows for collaboration, conferencing and connectivity. It’s a space where you don’t have to be a technology expert in order to use it properly, it contains active furniture which can integrate technology that is effective and fit-for-purpose. Active furniture is another term for flexible furniture, meaning you can use the same furniture for multiple activities such as videoconferencing, presenting, working remotely or collaboratively. Active furniture can be modular, mobile, or static with integrated equipment allowing for connectivity, which enables the user to work at any station, reducing the requirement for individual desks for each worker. Furniture can integrate a number of technology options including connection controls, video conferencing/codecs, camera technology, charging units and cable management systems. There are many benefits to using active furniture as it provides everyone with effective and productive workspaces that are flexible for multi-uses, and integrates technology to allow smarter working while having positive ergonomic implications. At Dalen Designs we ensure that we understand the needs of each business, we explore whether there is a standard specification required for your meeting spaces, what the corporate culture is and how your current meeting spaces are being used, if at all. Is it flexible and if not, how can we make it a flexible, multi-use space and most importantly, how can we provide the best possible user experience? These questions allow us to understand your needs then design and manufacture the solution to your requirements to deliver you the optimum result. You may also be interested in our previous blog ‘The Future of Huddle Spaces’.